In June 2016, Twitch introduced Cheering, a system that allows viewers to pay their favorite partnered streamers simply by typing an emote into the chat -- and it appears to have paid off. Participating streamers get one cent for every Bit pledged in their chat rooms, and last year, Twitch saw a total of 590 million Bits Cheered. That means these streamers took home $5.9 million in Bits alone throughout the second half of 2016. Though Twitch hasn't come out and said the Bits economy was $5.9 million strong in 2016, we confirmed the math with a spokesperson. This $5.9 million figure would only apply to official Twitch Partner streamers who participated in the Bits beta. Twitch hosts 2.2 million unique streamers, but just about 17,000 of those streamers are Partners. If the Bits money were distributed evenly among 17,000 Partners, they'd each get about $350 (but, of course, the world is never so neatly organized). Luckily for the remaining 2.18 million Twitch streamers out there, Bits aren't the only way to make money on Amazon's live streaming site. Third-party services like Revlo, Muxy, Streamlabs and others allow viewers to donate to their favorite streamers, usually sending on-screen messages along with their money. Plus, fans are able to subscribe to their favorite Partnered streamers via Twitch for $5 a month. Charity streams are also a large part of the Twitch ecosystem, and some have accepted Bits as donations since the program launched. Twitch streamers raised $25.3 million for charity in 2016 via Bits and traditional donations alike. This Saturday come celebrate my birthday ALL DAY on @Twitch by donating bits for charity! 100% of proceeds go to the @TrevorProject! The Bits update comes from Twitch's interactive 2016 year-in-review slideshow. 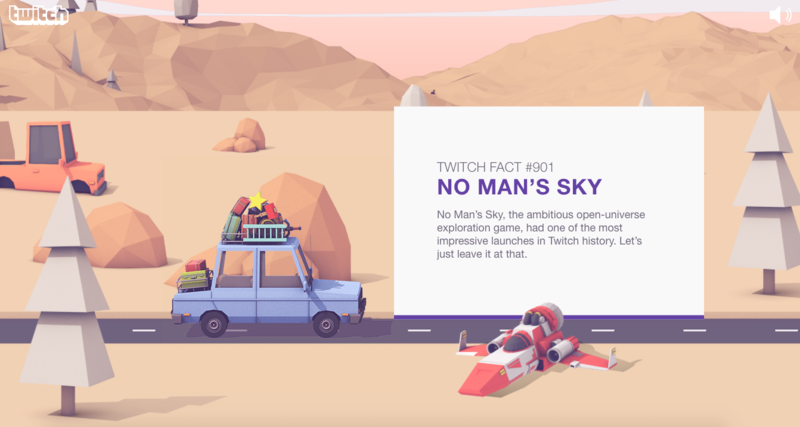 The presentation calls out Pokémon Go for hitting the top of the charts as a mobile game, and it says No Man's Sky had "one of the most impressive launches in Twitch history. Let's just leave it at that." Amazon Prime users subscribed to more than 1 million Twitch channels for free, as is their right, and the most-watched new game of 2016 was Overwatch. "This one wasn't even close," Twitch writes. "Blizzard's lightning fast team shooter has been a fixture in the top ten since it launched."